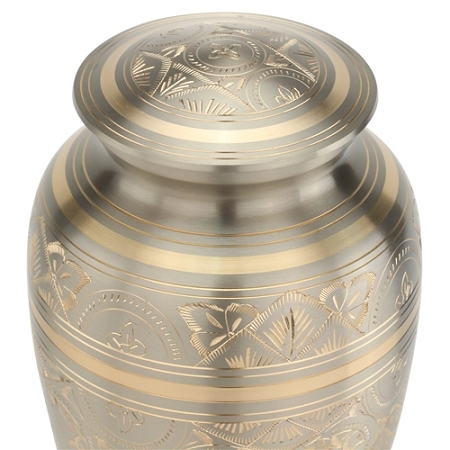 The Platinum Elegance Brass Urn features a lovely brushed platinum exterior and delicate gold etching in a unique floral design. 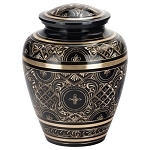 Bands of brushed gold also adorn the urn's base, body and lid. 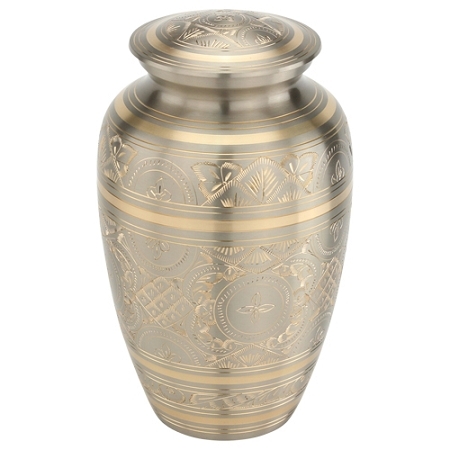 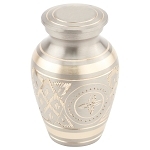 If you wish to pay tribute to a loved one in a special and dignified way, the Platinum Elegance Brass Urn is an appropriate choice. 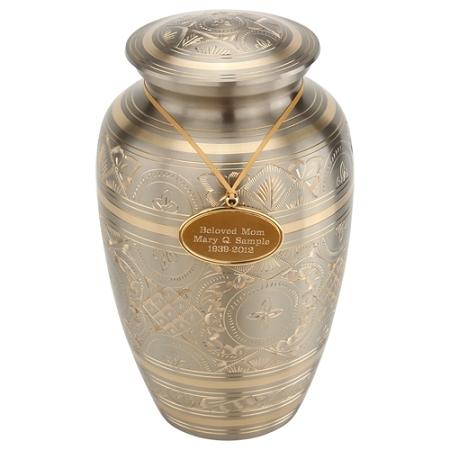 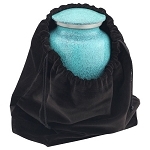 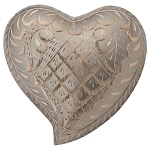 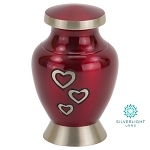 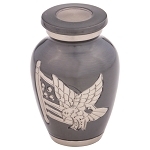 You may choose to personalize this urn with an engraved pendant in gold or silver, which hangs around the neck of the urn by a satin ribbon. 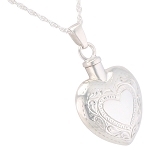 Our expert team can engrave a loved one's name, dates, or a short personal message into the pendant, adding a special and heartfelt touch. 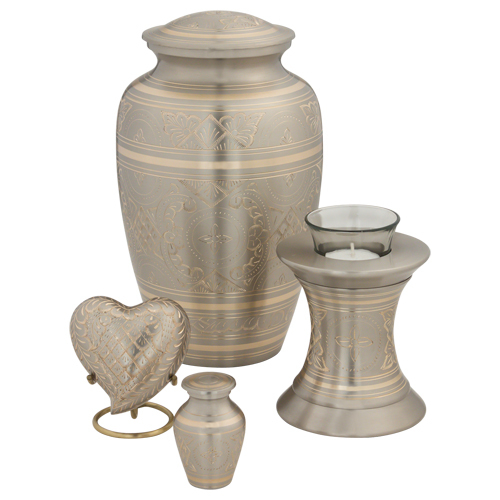 The Platinum Elegance Brass Urn features a lovely platinum finished exterior and delicate etching and bands in gold.